If you use Redmine versions intensively, eventually you will want to have a flexible global versions overview, where you’ll be able to: list upcoming versions of all your projects, evaluate their status and progress, check their due dates in order to plan the release schedule, and so on. Unfortunately, the pure Redmine comes only with a simple per-project version list, which cannot even be sorted or filtered, or customized in any other way. Obviously, this functionality is too limited for many advanced use cases. I need to have a specific tool on my smartphone for my personal needs. As I did not find any such existing tool, I decided to develop it. 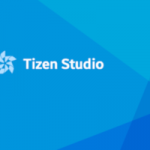 My smartphone, an old Samsung Z1, is based on Tizen OS (it’s, actually, the very first Tizen smartphone), so I downloaded Tizen Studio 2.4 and started the journey. Why Tizen? I hate Apple and Microsoft for their attempts to kill Linux and I just don’t like Java as a programming language. If Tizen dies, I’ll move to SailfishOS or PureOS — iOS, Android and Windows Phone are not options for me.